We went to friends for dinner on Saturday evening. And then ‘blew some cobwebs away’ on Sunday with a lovely walk in the sunshine in Bushy Park. It was so lovely to be out in the fresh air and see how autumn is starting to take hold…with leaves changing colour and falling from the trees, and acorns dropping off oak branches before your very eyes. 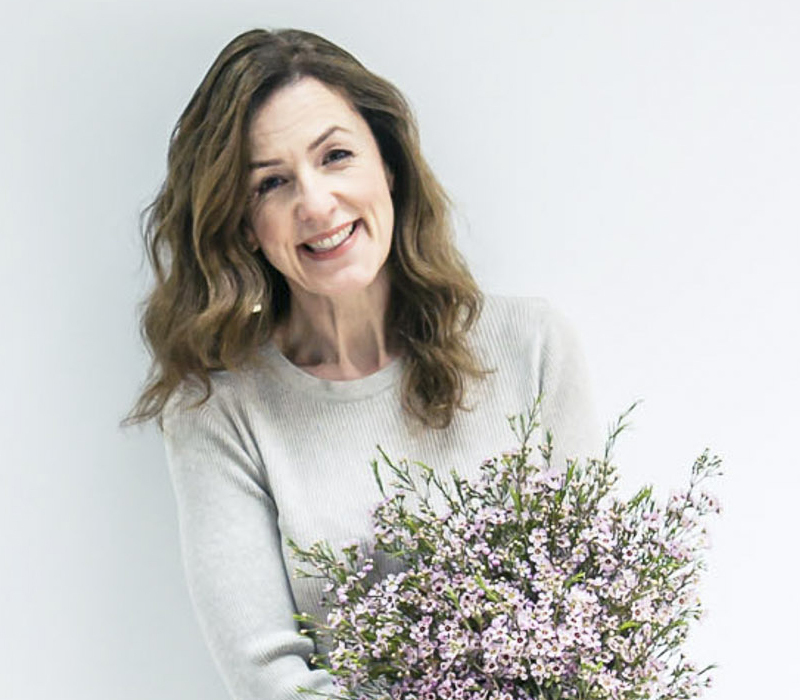 You may remember that earlier in the month I mentioned that I went to the florist McQueens website launch party? 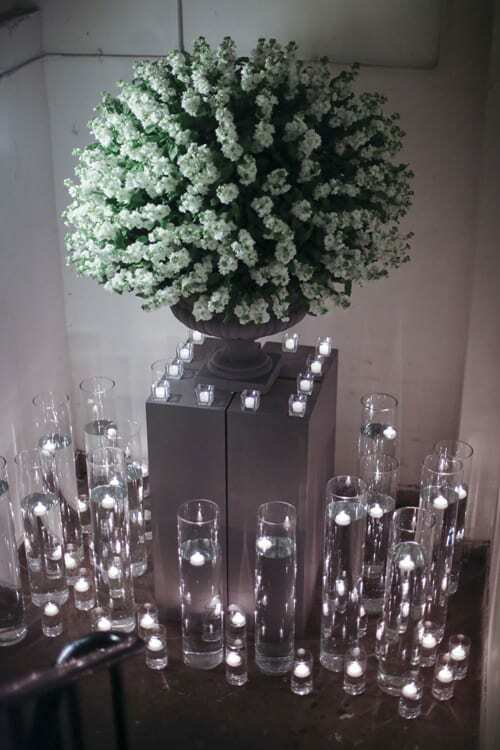 The party took place on the ground floor and lower ground floor of the McQueens store in Clerkenwell in London. 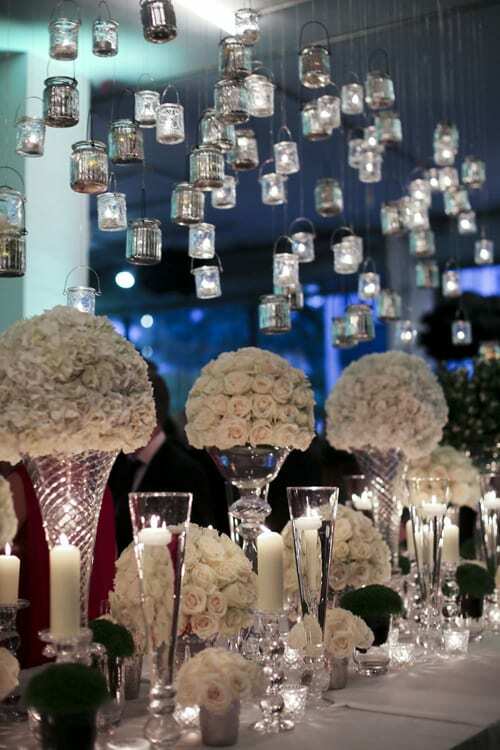 When guests walked in, they were greeted to this spectacular display above, in a white and green colour palette. 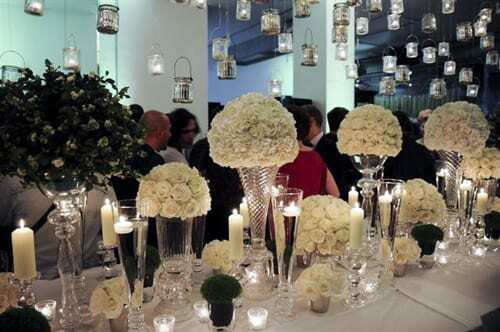 There were domes of roses and hydrangeas, complemented with mind-your-own-business and snowberry. 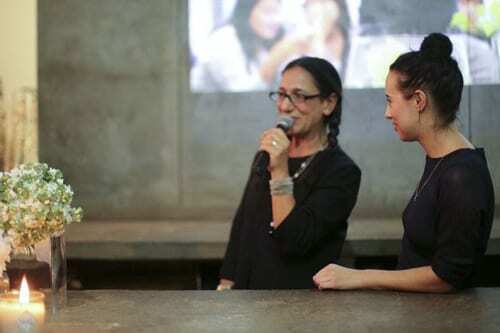 Here’s Kally Ellis, founder of McQueens, as she made a speech at the party. 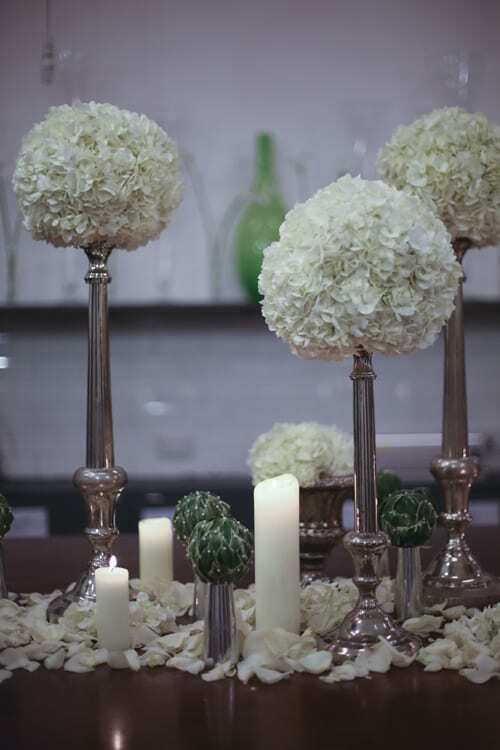 In a stairwell was this magnificent arrangement of scented white stocks, surrounded by a myriad of tealights. 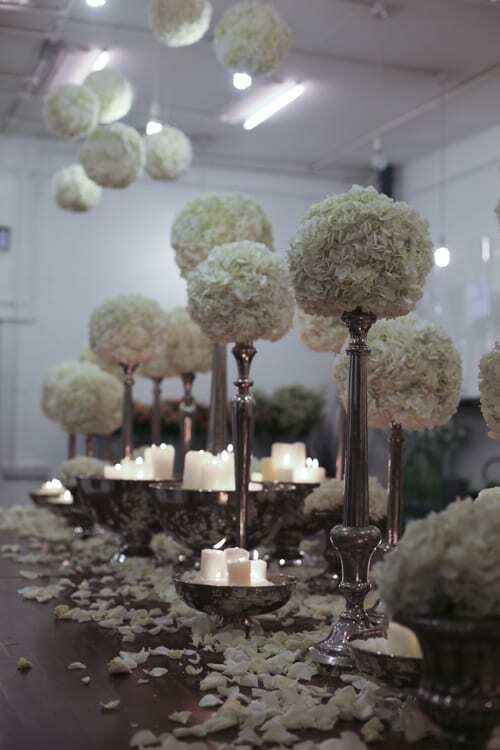 And on the lower ground floor, where the McQueens School of Flowers is based, were the beautiful designs below. 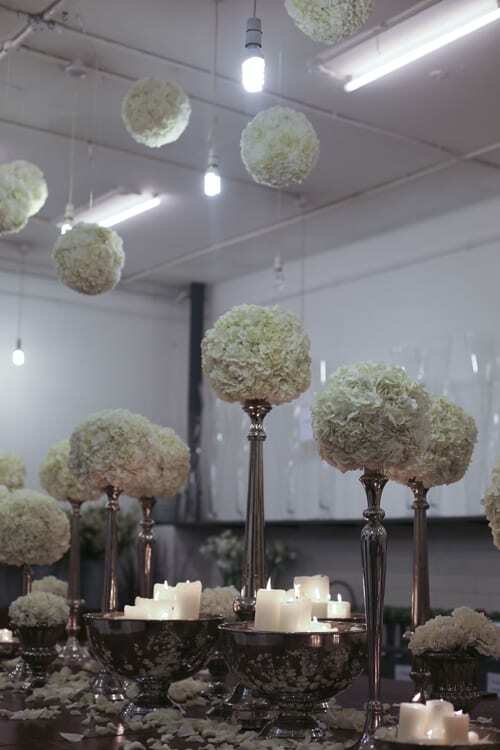 Domes which included carnations and hydrangeas were positioned on a long table and they were echoed with balls hanging from the ceiling of the same blooms. 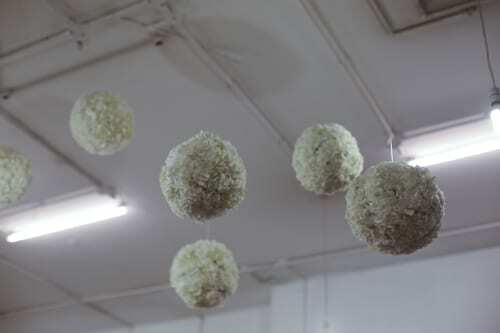 And variegated ivy leaves had been pinned to small floral foam spheres to create the mini designs below. 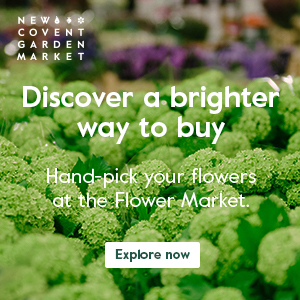 I really was in ‘flower heaven’ and was completely blown away by all the exquisite floral arrangements. If you’d like to see more of McQueens work, do take a look at their fabulous new website.